Because young children are not able to hold a thermometer in their mouths, their temperature may be checked rectally or axillary (under the arm). Axillary temperatures are usually 1o lower than rectal temperatures, and rectal temperatures are the most accurate. All temperature guidelines listed in this chart are rectal. Temperatures above 105o (oral) can be dangerous, and need immediate medical attention. Is your child two months of age or younger with a fever of 100.4° or higher? Is your child older than 2 months of age with a fever of 102° or higher that is unresponsive to fever-reducing medicine? Does your child have a low-grade fever (up to 101°) and a runny nose, and is he or she tired and cranky? Does your child have a low-grade fever (up to 101°) and a harsh, barking cough? Does your child have a low-grade fever with nausea or vomiting? Is your child also complaining of stomach pain? Does your child have watery diarrhea and a low-grade fever? Is your child pulling at his or her ear, and is he or she irritable? Does your child have a rash, cut or wound that is red, swollen and tender? Does your child have a low-grade fever and sore throat? Is your child experiencing shortness of breath? Does your child also have a severe sore throat, problems swallowing, and are his or her skin or lips turning blueish? Does your child have a slight fever, along with rapid breathing and wheezing? Does your child have a high fever with shaking chills, along with chest pain, and is he or she coughing up greenish or yellow mucus? Is your child feeling very ill, complaining of headaches and vomiting, and does he or she have a stiff neck? Does your child have blisters scattered over his or her face, back, chest and stomach? Did your child’s illness start with a high fever and cold-like symptoms, with a red rash appearing on his or her face 4 or 5 days later? Did your child’s illness start with a sore throat and fever, with a red rash with small bumps that spread from the face downward appearing 3 to 5 days later? Does your child have swelling under the jaws on one or both sides? Does your child have either a runny nose or diarrhea with a high fever? Does it hurt or burn when your child urinates and does he or she or have back pain? Does your child have a fever following a recent immunization? This may be a sign of a serious INFECTION. Your child’s symptoms may be from a simple VIRAL INFECTION, such as a COLD or FLU. Treat your child with nonaspirin fever-reducing and cold medicine. Make sure your child drinks plenty of fluids and gets enough rest. Chicken soup may also help relieve cold and flu symptoms by breaking up congestion. See your child’s doctor if your child’s symptoms persist or worsen, or if your child is complaining of ear or throat pain. Also, be sure to contact your child’s doctor if your child’s temperature continues to climb. These may be symptoms of CROUP. 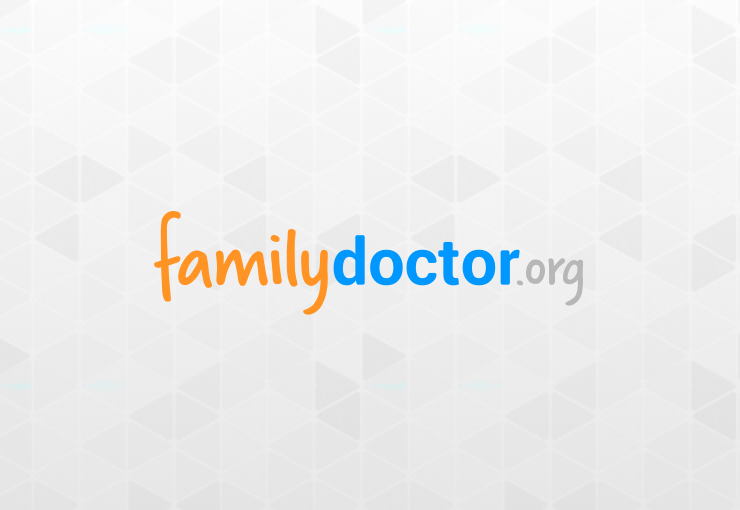 Mild cases of croup can be treated at home. Make sure your child gets plenty of rest and lots of fluids. See your child’s doctor right away if your child is having problems breathing or swallowing, or if your child develops a blue or grayish color around the nose, mouth or fingernails. Pain in the mid-abdomen that moves to the right lower area, along with fever and vomiting, may be signs of APPENDICITIS. Contact your child’s doctor immediately. Your child may have VIRAL GASTROENTERITIS, an intestinal infection. Diarrhea and vomiting can quickly lead to dehydration. Give your child an oral rehydration solution to prevent it. For the fever, give your child a nonaspirin fever-reducing medicine. Call your child’s doctor after 24 hours if the fever continues to climb or if your child cannot keep down any fluids. Ear pain may be from a middle ear infection or OTITIS MEDIA. In younger children, TEETHING PAIN may radiate to the ear. A warm, moist cloth placed over your child’s ear may help relieve the pain. If your child’s symptoms last longer than 24 hours, see your child’s doctor. Your child may have an infection of the skin called CELLULITIS. See your child’s doctor right away. This condition needs to be treated with antibiotics. Your child may have STREP THROAT or PHARYNGITIS. See your child’s doctor right away. Strep throat is usually treated with antibiotics. If your child has a viral infection, antibiotics won’t help. Give your child lots of fluids. A warm salt water gargle may also help soothe your child’s throat. You child may have EPIGLOTTITIS, the swelling of the airways. See your child’s doctor or take your child to the emergency room right away. These may be symptoms of BRONCHIOLITIS or BRONCHITIS. While bronchiolitis produces a dry cough, bronchitis cough usually produces a yellow-green mucus. Give your child a nonspirin fever-reducing medicine and be sure he or she drinks plenty of fluids. A cool-mist vaporizer may help ease congestion. See your child’s doctor if your child can’t keep liquids down or is breathing very fast. Also be sure to seek medical attention if your child’s skin is turning blue, especially around the lips, nose or fingernails. Your child may have PNEUMONIA. See your child’s doctor right away. Your child may have MENINGITIS, a serious infection of the membranes and fluid around the spinal canal and the brain. See your child’s doctor or go to the emergency room right away. Your child may have CHICKENPOX, an extremely contagious viral illness. Your child may have PARVOVIRUS INFECTION, also called FIFTH DISEASE. See your child’s doctor right away. Treat your child with nonaspirin fever-reducing and cold medicine, if needed. Slightly larger bumps may be from MEASLES. Small “sandpaper” bumps may be from SCARLET FEVER, a strep infection in the blood. Other symptoms of scarlet fever may include vomiting, abdominal pain and muscle aches. See your child’s doctor right away. Scarlet fever is usually treated with antibiotics. However, antibiotics are not effective in the treatment of viral infections such as measles. If your child has measles, make sure he or she gets plenty of rest. For the fever, use a nonaspirin fever-reducing medicine. Your child’s fever and swelling may be from the MUMPS. Call your child’s doctor right away. Mumps is a viral infection, so antibiotics aren’t effective in treating it. Apply ice or heat to the swollen area to help relieve the pain. A warm salt water gargle, soft foods and lots of fluids may also help. Your child may have a simple VIRAL INFECTION, even with the high fever. Call your child’s doctor. He or she can rule out other causes for your child’s symptoms. Your child may have PYELONEPHRITIS, a kidney infection. This may be a REACTION TO THE IMMUNIZATION. Treat the fever with acetaminophen. If the fever is higher than 105° F, see your doctor right away. Don’t give children aspirin without your child’s doctor’s approval due to the risk of Reye’s syndrome.